It’s no secret that I am a huge fan of anything barbeque. But, I have never been able to perfect the art of ribs cooked on the grill. My mom gave me this recipe for fool proof ribs. They are first cooked in the oven in beer and then finished on the grill. Every time I make them they are fall off the bone, perfect. This is also the second time this month I am sharing a recipe of something cooked in beer…are you seeing a trend here? Season your ribs with grill seasoning. 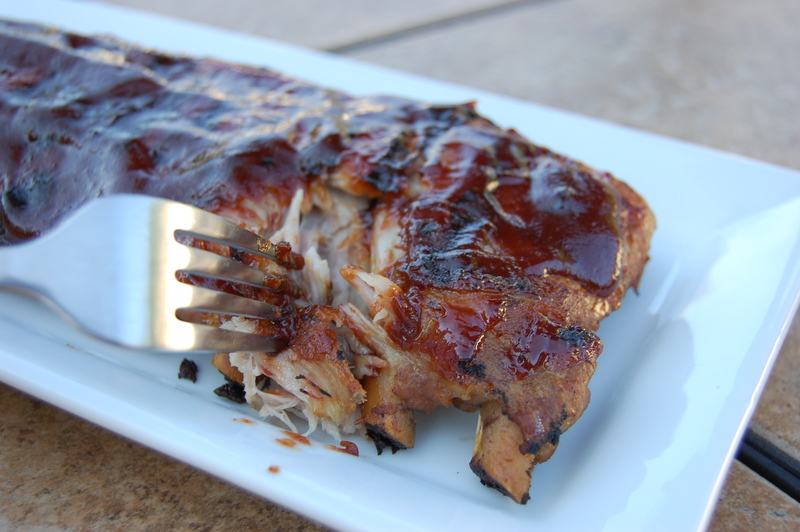 Cut the ribs in half and arrange them so they fit in your 9×13 pan. You will want to arrange them so they are “dome” side up. Pour 2-3 cans of beer over the ribs or until they are mostly covered. The top of the ribs will not be submerged in the beer. Cover with foil and bake at 350 degrees for 2 1/2 – 3 hours. 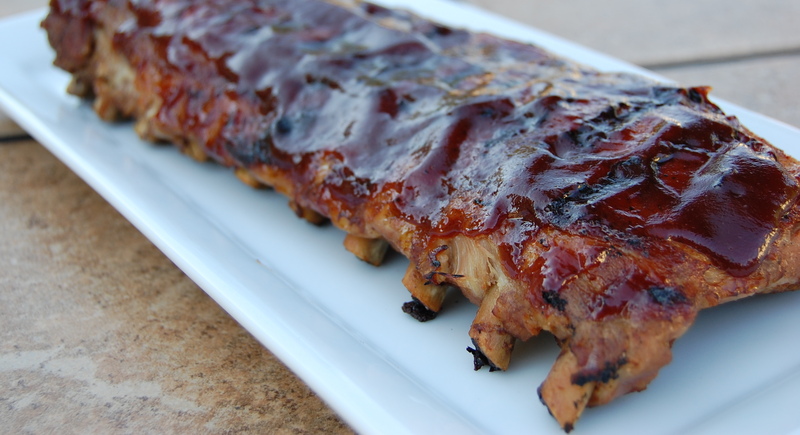 Take the ribs out of the oven, remove them from the beer and place them on a platter to take out to the grill. At this point the ribs are already cooked, but putting them on the grill will help crisp the up and give them a barbeque flavor. Place on a medium-low heat grill, cover in sauce and grill for 15-20 minutes. Take off the grill and enjoy! wow, I tried this and they are awesome! They fall off the bone…just like my husband likes them. Great tips!